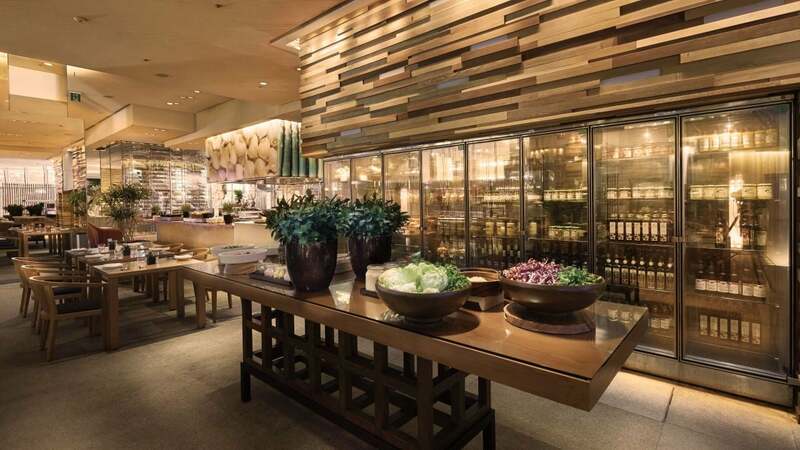 Located in East Tower, Restaurant 8 is a unique dining concept featuring eight distinctive restaurants in one - Café, Cucina, Desserts, Deli, Sushi, Yakitori, Noodles and Grill- each with its own authentic cuisine and ambience. Well-prepared various menus with fresh seasonal salad buffet, soup and dessert. * Cannot be consumed in the restaurant. * No other discounts would be available. Vy (Vibrations of Youth) Bar & Karaoke captures both bar and karaoke experiences, with drink menus featuring a large range of unique cocktails and martinis, whiskies, beers and more. 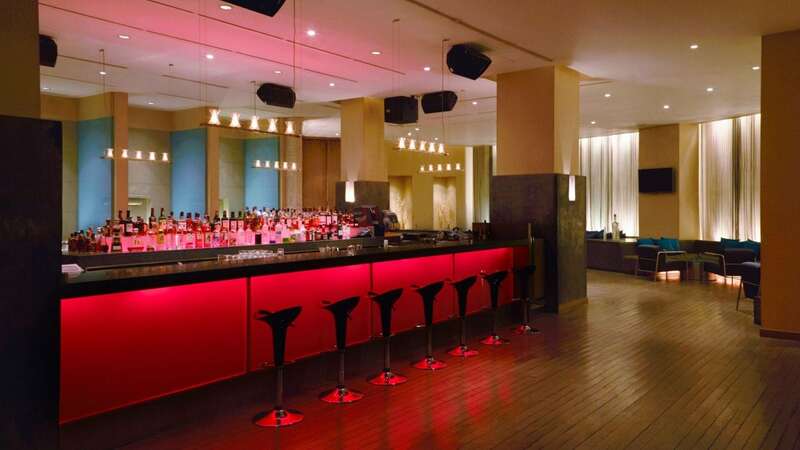 Vy’ Bar & Karaoke's lighting, sound system, music and state of the art Karaoke rooms combine to create an ideal mood. The bar’s extensive and unique drink selection, sophisticated design, TV screens and private rooms make it the perfect place to socialise with fellow guests. * Kids' entrance is restricted. * Vy Bar & Karaoke is open from Wednesday to Sunday. 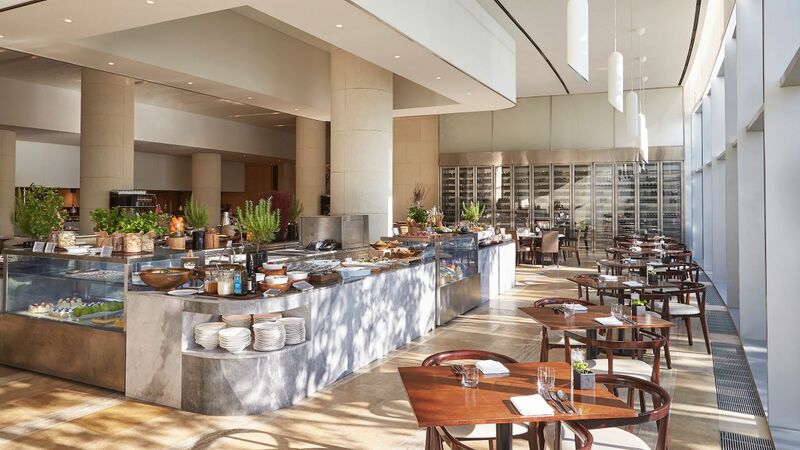 Grand Café is a buffet-style restaurant where you can enjoy a variety of flavors all day, along with panoramic views through the floor to ceiling windows. Fresh dishes - cooked by our chefs in open kitchens - present both the joy of seeing and also eating. Grand Café provides you with a variety of healthy authentic cuisines using the freshest local products from Asian and European cuisine. At the dessert section, our pastry chefs present traditional French desserts. Swell Lounge is the perfect place to relax over a cup of coffee, glass of wine, cocktail or light meals served all day. Sophisticated interiors and authentic service make the Swell Lounge the perfect meeting point or venue to chill-out and connect with others. Swell Lounge offers basic business services. Experience an alfresco dining on a terrace by the pool. Drinks and light meals are offered throughout the day during the summer and special holidays. 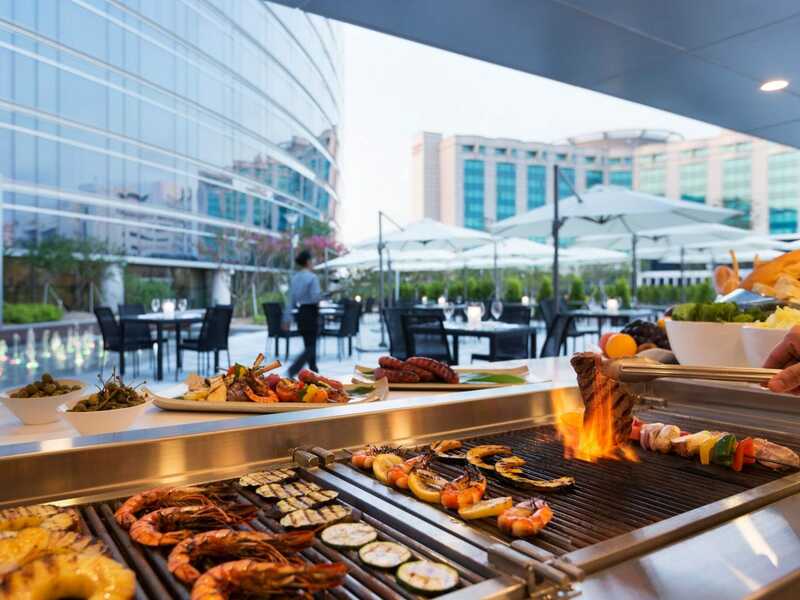 Enjoy sumptuous poolside barbecues in our scenic outdoor garden at West Tower. Unforgettable evenings will feature a selection of prime meats, including lamb chops and seafood, offered along with a variety of beverages. 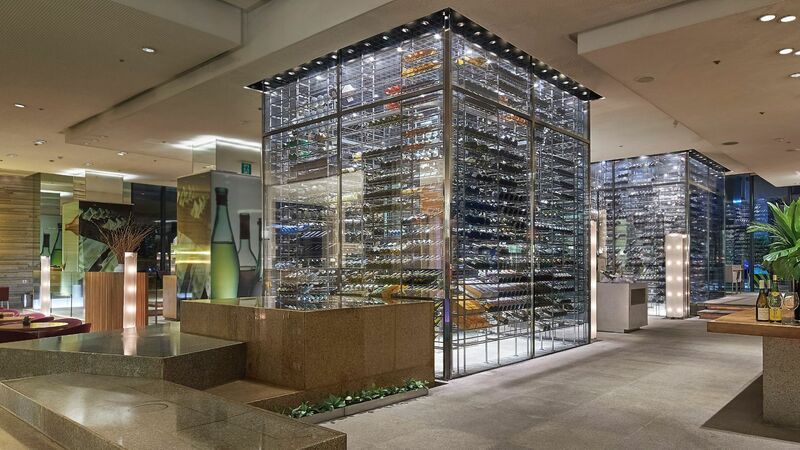 Wines handpicked by our sommelier will enrich the dining experience. * Barbecues are subject to cancellation due to bad weather. 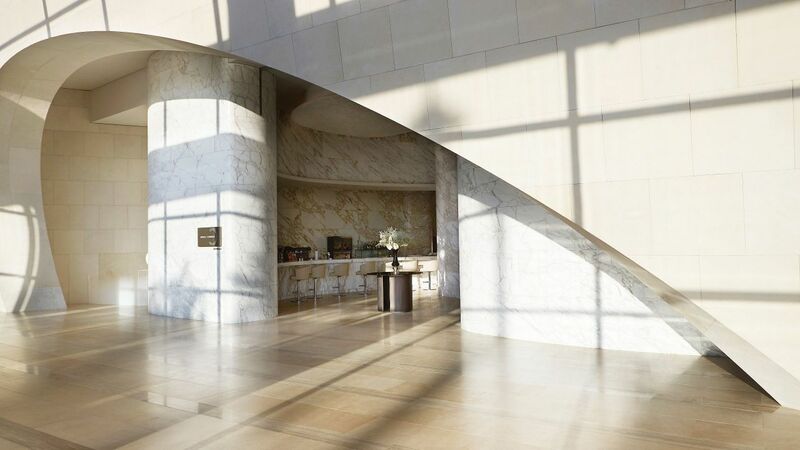 Club at the Hyatt is a membership program that offers special benefits whenever members use guest rooms, restaurants and other hotel facilities in many Hyatt hotels. Join Club at the Hyatt now and enjoy an array of special services and privileges. 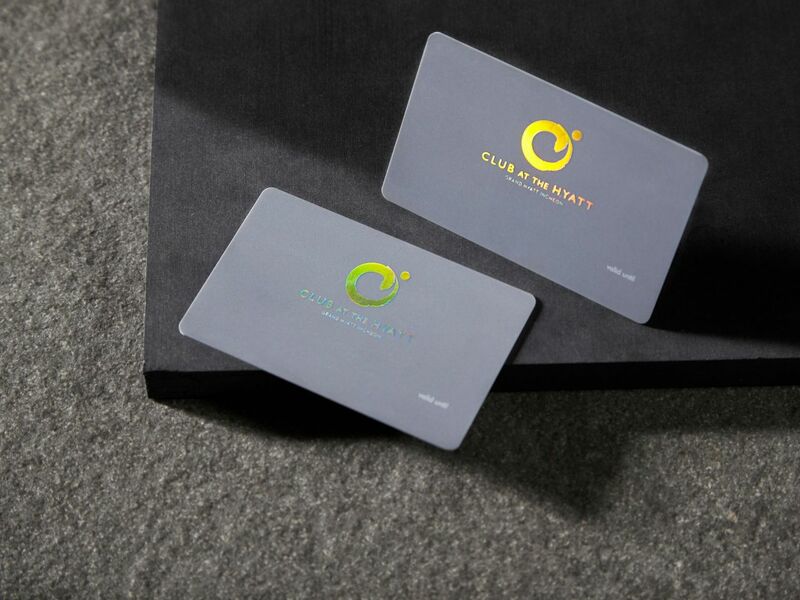 Membership fee: KRW 390,000 (includes 10% VAT) or 45,000 Korean Air SKYPASS mile. How to receive the membership: Membership cards and voucher books will be delivered in three to four days via registered mail. Those wanting to pick these items up at the hotel directly must wait three business days (weekends and public holidays excluded).